Is ranked joint 6163rd with 105 other trigs (more). 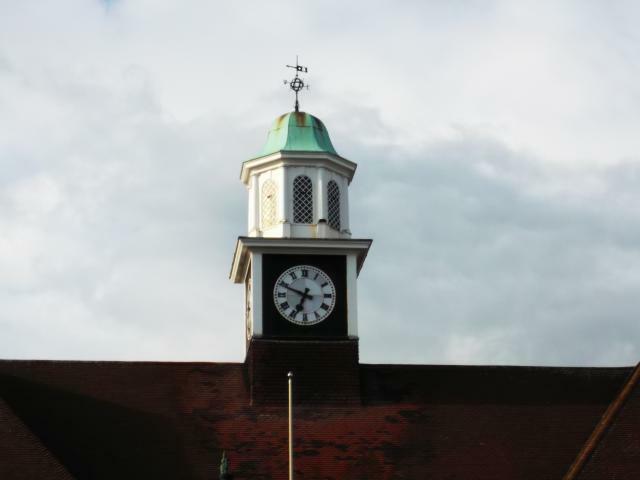 A number of buildings in the vicinity with cupola - this is a particularly fine one. Viewed from train. good pale green. 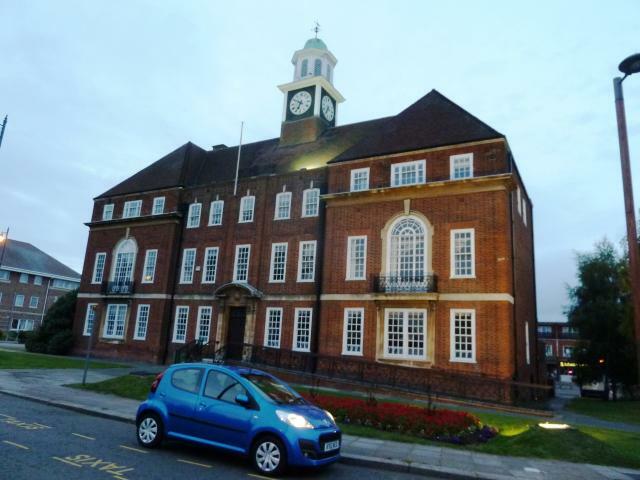 A beautiful building in a rather smart area of Letchworth Garden City. 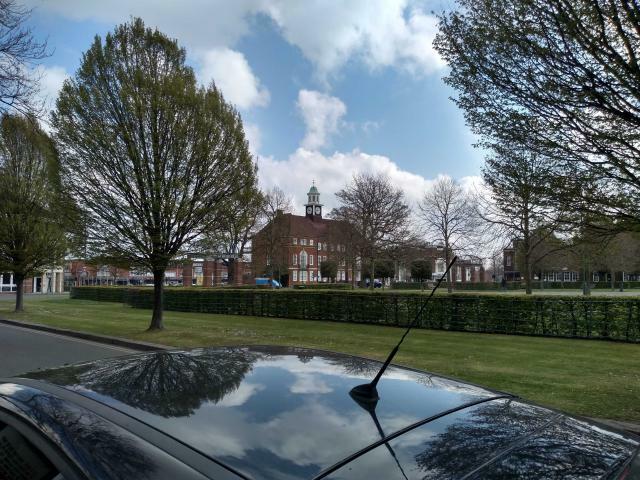 The town hall (for thats what the building is) overlooks an oval shaped public arena with a central park and fountain ringed by a roadway. 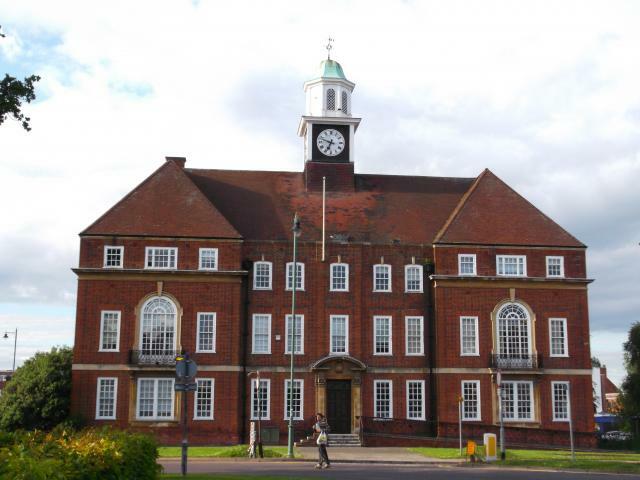 When I was there, a wedding party was using the park area for the usual wedding photos with all the guests standing around in smart dress wondering when it was going to be their turn... Also overlooking the public space is the old Letchworth Grammar School building.